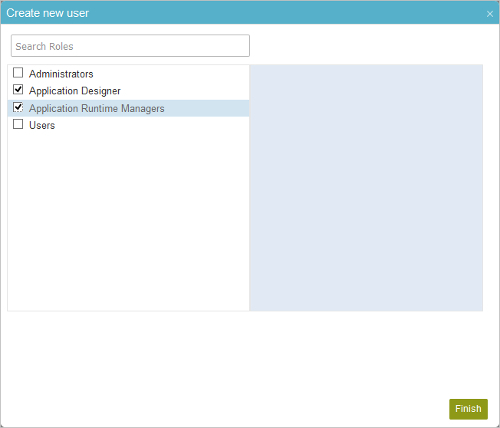 Lets you assign roles for the users in your AgilePoint NX environment. On the New User Added screen, click Access Rights. Lets you find the specified role. Specifies if you want to associate roles with a user. Selected - Lets you to associate roles with a user. Deselected - Does not let you associate roles with a user. Shows the permissions associated with all the active roles for the user.